After a nice car has been out on the market for a couple of years is when the magic really starts to happen, at least when it comes to modifications. Engineers know what the car can withstand, and how far they can go. 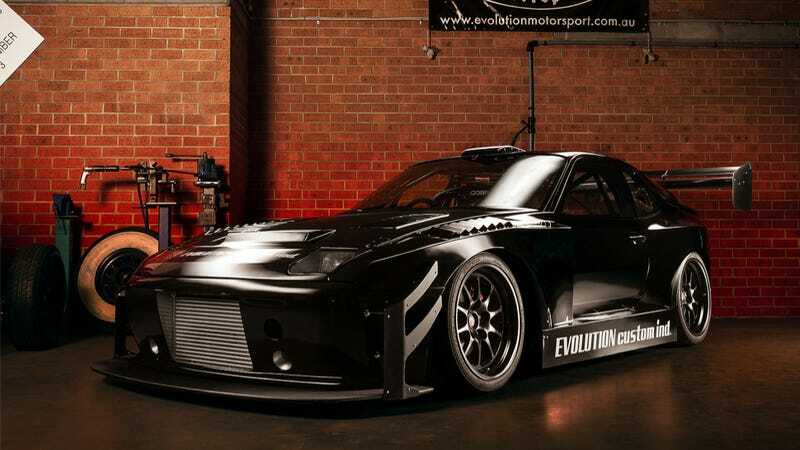 Like this 650-horsepower, completely transformed Porsche 944. Modified by Evolution Motorsport in New South Wales, Australia, the 944 still has the original turbo'd four-pot, although it's obviously extremely heavily modified. Racing mods for the World Time Attack Challenge beyond the amount of power abound as well, including a fully-stripped out interior and full cage, Lexan windows, and an internal air-jack. It's stuffed to the gills with go-fast goodies. Photo credit Ben Hosking. Used with permission. For more of his work, check out his websiteand Facebook page. For a desktop version, click here.